Now that the graphic design industry is on full swing, universities and colleges are opening up their departments to offer various graphic design certificates and degrees. Everything from branding to corporate design to print can be learned by any graphic design enthusiast. The question is, is it for you? We compiled the top institutions that offer great graphic design degrees (and certificates) in North Carolina. Take your pick and start your path towards becoming an all-star graphic designer today. The Bachelor of Science in Graphic Design Communication Systems offered by the North Carolina A&T State University focuses on Graphic Design skills, theory, and applications. The mission of this program is to develop students who are media agile, capable of solving problems through productivity in their respective careers in the Graphics Design industries. The Department of Graphic Design Technology provides students with the best in competency-based instruction, preparing graduates in developing competencies in communications, sciences, professional writing, mathematics, business, and the arts, resulting in a holistic education that spans over the limits of the graphic design field. The Bachelor of Science in Graphic Design program offered by Elizabeth City State University is a rigorous experience, teaching students everything they need to know about the conceptual, theoretical, and technical aspects of graphic design. Graphic Design students in this program are required to complete an internship and successfully submit a complete portfolio that showcases their range of abilities. Majors are expected to demonstrate an understanding of both the common and advanced elements in design, graduating with the ability to design projects and work as members of graphic design teams. The Bachelor of Arts in Graphic Design program offered by Lenoir-Rhyne University combines aspects of design, digital technology, studio art, and traditional fine arts abilities to instill students with all the skills required for a successful career in the modern graphic design field. This program fully embraces all the skills related to visual communication and teaches students to use these as they are faced with challenges of problem-solving, branding, formal design, critical thinking, and innovation. Students may expect to be presented with real-life design situations, where they will be tasked to create websites, advertisements, logos, brochures, and more, with the use of image editing and other graphic design software programs. The Bachelor of Science in Graphic Design program offered by Chowan University is taught by the combination of the Department of Visual Art and the Department of Graphic Communications. Innovation and creativity are emphasized, merging the two to create graduates who are technologically, theoretically, and aesthetically trained in graphic design, studio art, print technology, interactive design, packaging design, and more. Faculty expertise and technological resources come together to enhance the students’ self-expression, artistic ability, and creative ideas as they study a number of professional graphic design skills, including web design, digital design, mixed media, ceramics, painting, photography, packaging, digital imaging, drawing, print design, digital design, video, and more. The Bachelor of Arts in Graphic Design program offered by Campbell University emphasizes in the creation of students who are fully equipped to enter the graphic design world after they finish the program. Students will be instilled with a number of skills and technological and software expertise, including web design, typography, branding, print design, interactive, and more. Finally, an internship is required in the student’s junior year in the program. Students are encouraged to seek out their own internships without much help from the university, as it is believed this will help them when they later seek to begin their career. The Bachelor of Arts in New Media Design offered by Queens University of Charlotte teaches students to produce high-impact visual content for all types of media and surfaces. Students will find themselves learning about both traditional and contemporary graphic design, training their proficiency in time-based, interactive, and print media with the latest in digital media tools. The program will instill the student with a suitable foundation in web/app design, animation, graphic design essentials, and visual literacy. Students will develop their own professional creative voice and persona with their portfolio, learning interdisciplinary skills while solving real-world issues. The Bachelor of Fine Arts in Graphic Design program offered by Appalachian State University is recognized by the university as the definitive educational experience in the graphic design industry. 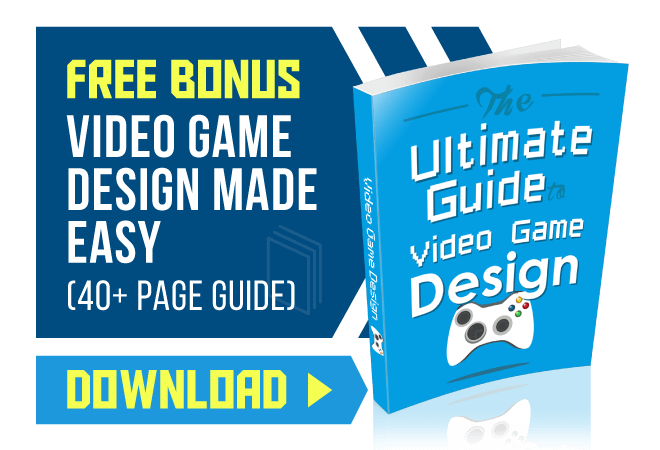 It combines comprehensive academic knowledge with practical and technical abilities to create a curriculum that focuses on developing concepts, sensitivities, and skills that the best professional designers must understand. Students in this program are encouraged to develop innovative personal methodologies to solve their own graphic design problems. Ultimately, students can expect to have their sensitivity towards graphic design heightened through enlightened competencies in the discipline. The Bachelor of Arts in Design Studies with a concentration in Graphic Design program offered by High Point University introduces students to a wide array of courses with a focus on digital skills and understandings. This program emphasizes artistic development and conceptual understanding, allowing students to develop work that is both aesthetically pleasing and visually meaningful and expressive. Students will be forced to challenge notions around exhibiting and viewing art and graphic design. Ultimately, the program is designed to foster a theoretical and aesthetic appreciation of graphic design, creating students who can create unique visions with meaningful understanding. 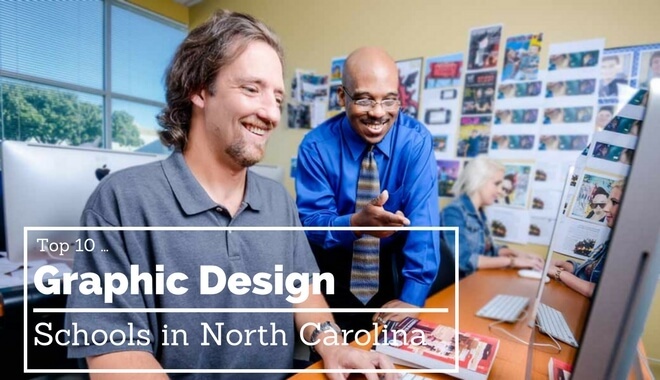 The Bachelor of Arts in Graphic Design offered by North Carolina State University – Raleigh emphasizes in teaching students the philosophy and understanding behind design before practicing their technical abilities. Graphic design gives shapes to messages through visual design, and therefore graphic designers are expected to envision complex ideas through visual representation. The ideal graphic design students of this program will graduate with the ability to design material that educates, informs, beautifies, clarifies, directs, and delights those who personally engage with it. Through images, physical materials, symbols, digital platforms, and typography, students are taught to visualize and produce artifacts such as product packaging, signage, books, identity systems, magazines, applications, and websites that truly capture and resonate with its audiences. The Bachelor of Arts in Graphic Design program offered by Meredith University helps students to develop a clear and concise understanding of the three-way dialogue between audience, client, and designer. The most important element in graphic design is understanding the needs of the client, understanding the capabilities and limitations of the audience, and understand the skillset of the designer. 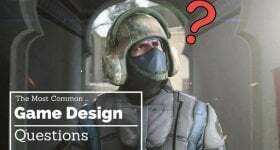 Through a unity of these three, the graphic designer can find the best solution in communicating complex ideas towards its appropriate audience. The program emphasizes the practical side of graphic design, focusing on the art of creative but effective communication.